Wolverine joins the Marvel Premier Collection! This amazing statue captures Logan unmasked with claws extended. 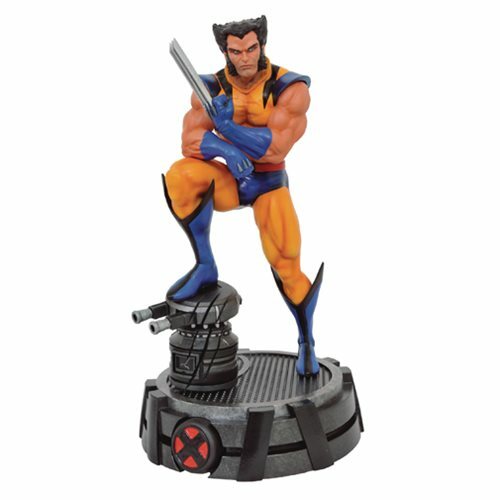 Wearing his classic yellow and blue costume, Logan stands on a Danger Room-inspired base in this 12-inch resin statue. This Marvel Premier Collection Wolverine Statue is a limited edition of only 3,000 pieces and comes with a numbered base and certificate of authenticity. Sculpted by Phil Ramirez. Ages 13 and up.